Over a period of time, the jawbone associated with missing teeth resorbs. This often leaves a condition in which there is poor quality and quantity of bone suitable for implant placement. Bone grafting, or augmentation, is a term that is used to describe a variety of procedures that are used to "build" bone and fill in the resorbed area, so that dental implants can be placed. These procedures typically involve adding bone from another part of the jaw, or bonelike materials to the implant area, and waiting for the grafted material to fuse with the existing bone over several months. Only specialist Oral and Maxillofacial Surgeons are able to provide the full scope of both in-rooms and hospital-based bone augmentation procedures. 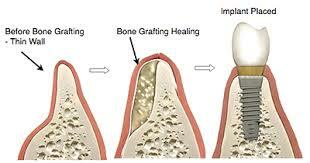 Dr Webber will discuss the best choice of bone graft for your particular case. Ridge augmentation involves changing the soft tissue and/or the underlying bony base of the jaws. It is appropriate where patients cannot wear dentures comfortably due to soft tissue excess or inflammation. It can also enable more suitable placement of implants by altering the underlying bony anatomy of the jaws to better suit the placement of implants or the wear of dentures comfortably. A maxillary sinus lift is surgery that adds bone to your upper jaw in the area of your molars and premolars to make it taller. The bone is added between your jaw and the maxillary sinuses, which are on either side of your nose. To make room for the bone, the sinus membrane has to be moved upward, or "lifted." A sinus lift is done when there is not enough bone in the upper jaw, or the sinuses are too close to the jaw, for dental implants to be placed. Dr Webber performs over 150 external maxillary sinus lifts every year and has exceptional implant success rates once placed in the grafted regions. Click here for our post-operative information sheet. For further information please email us or phone 07 5527 8858. 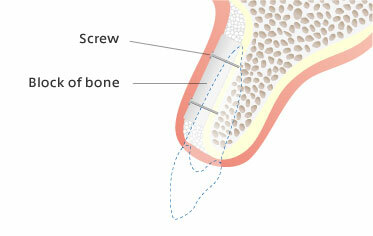 Onlay bone grafts are required when implant sites have inadequate bone thickness due to previous extractions, gum disease, traumatic injuries or tumour surgery. 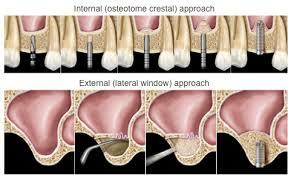 Dr Webber almost always harvests the bone graft from the side of the jaw through a small incision inside the mouth. The surgery is performed under a General Anaesthetic as a day procedure. After harvesting the bone graft, it is carefully sculpted and manipulated into place by creating a small pocket under the gum in the desired region. The graft is fixed with a small screw so that it "fuses" with the underlying bone, thus increasing the thickness of the jaw and allowing an implant to be placed four months following this surgery. Onlay bone grafts are an extremely routine part of Dr Webber's practice and he has exceptional functional and aesthetic results following this type of procedure.